Cuts and lacerations are responsible for nearly 30% of lost-time work injuries in North America, the majority of which are to the hands. Knowing how to choose cut-resistant gloves, as well as when to use cut-resistant gloves is essential to protecting yourself. Cut Resistance 101 answers frequently-asked questions about this essential piece of hand protection. Cut-resistant gloves are designed to protect your hands from cuts while working with sharp tools like knives, or sharp materials like metal. Not all cut-resistant gloves are created equal and that's a good thing, depending on the severity of the hazards that you're facing. The sample is cut five times, each with three different load. Until 2016, the Coup Test, as described above, was the only test used under the EN 388 standard. The standard update in 2016 introduced the ISO 13997 concept, which closely relates to the North American standard test. If the blade makes 60 passes over the test glove without achieving cut through under the Coup Test method, the tester must use the ISO 13997 cut test method. Metal Mesh Gloves: Looks like chainmail, like our GU500, and are made from rings of stainless steel. Cut-and-Sewn Gloves: Made out of a cut-resistant material that is cut to shape and sewn into a glove, like our SKLP. Seamless Knit Gloves: Knitted in one piece from high strength yarns like para-aramid (Kevlar®) or high performance polyethylene (TenActiv™) that are inherently cut resistant, like our S18TAFGFN. The short answer is yes. 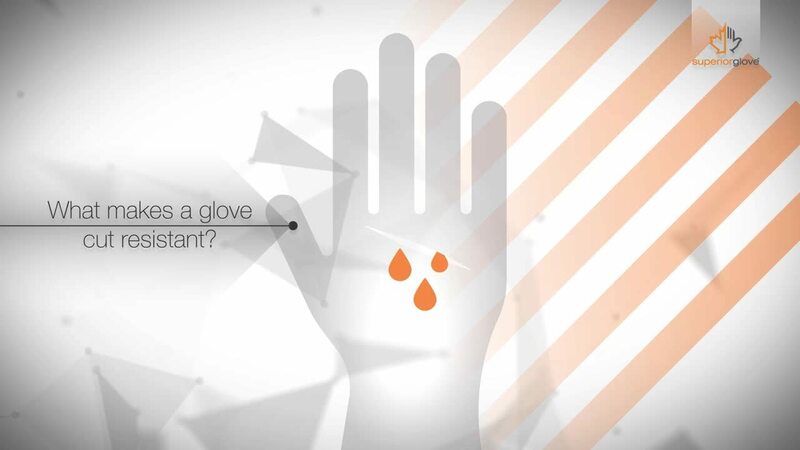 Laundering and dry cleaning have no significant impact on the protective properties of cut-resistant gloves. Thanks to technological improvements and the introduction of high-strength yarns like Kevlar®, TenActiv™ and Dyneema®, most quality cut-resistant gloves will retain their protective properties even after ten or more washes. It is important that you follow manufacturer instructions when washing cut-resistant gloves. For instance, Kevlar® cannot be treated with bleach and Dyneema® does not stand-up well to high heat. To learn more about washing instructions for cut-resistant gloves, visit Laundering 101. Looking for more information on cut-resistant materials? Thank you. Click here to download the Cut Protection Book. Did you know about the change to cut levels? Did you even know that there were cut levels? Don't sweat it. We have you covered. There's a lot of mysteries in the world, but knowing how your gloves keep you safe shouldn't be. Learn four essential secrets. Cut-resistant gloves is a confusing topic. This blog aims to clear up the misconceptions and myths about this most necessary gloves.